Elephants may be the largest mammals on land. But who would have thought that about 10 thousand to 15 thousand years ago, the size of the elephant is much bigger than it is today. At that time the species known as the Mammoth. 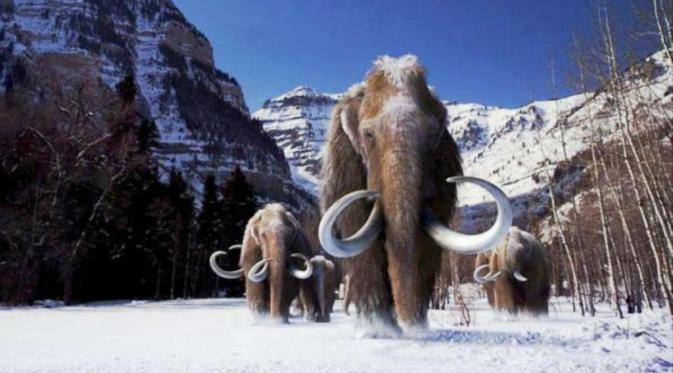 A giant elephant with thick brown fur that is used to warm the body in the ice age. A farmer named James Bristle and his neighbors discovered the fossil mammoth in the area of ​​Michigan, USA. The two men were initially thought that the thing they found was a hunk of wood. Because when the fossils of giant animals was covered in mud. However, after further examination, it was originally thought to be a wooden object that it is a bone. 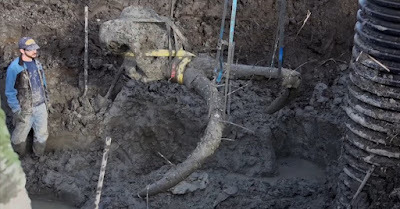 Paleontologists had already confirmed that the objects found by the farmer and his neighbors turned out the mammoth skeleton. Professor Dan Fisher of the University of Michigan was leading a team to continue the excavation. He said that the possibility that the mammoth died at the age of 40 years. The mammoth was thought to have died because of being hunted by humans, then butchered and stored in a place such as a pool. Fisher expressed his opinion that the findings were encouraging. Because the skeleton found is more complete than the mammoth skeleton has ever been found in several other states. So far the team led by Fisher had found the bones of the pelvis, skull, and two large fangs. They also have found the shoulder blade and several ribs.